Leicester City continue their amazing run. The Foxes currently occupy second place in the English Premier League standings and after twenty one matches played this season they are level on points with first place Arsenal and three points ahead of third place Man City. The Foxes went from being the relegation favourites to genuine title contenders in the course of a single season. Claudio Ranieri's men have not conceded a Premier League goal in the last five hours of football. That is three clean sheets in a row (vs. Manchester City, Bournemouth and Tottenham). The team has a solid back line with Roberth Huth and Wes Morgan in center back positions successfully dealing with even the strongest of offences. This includes playing against stars such as Sergio Aguero and Harry Kane. Between the sticks, Kasper Schmeichel (the son of legendary goalkeeper Peter Schmeichel) has been in great form and is a big reason for Leicester's run of good results. Up front, the partnership of James Vardy and Riyad Mahrez has been the most productive one in the league so far. Between the two of them they have 28 goals. Vardy of course recently broke the English Premier League record by scoring in eleven consecutive matches. Next up for Leicester are Aston Villa (Away), Stoke City (Home), Liverpool (Home), Manchester City (Away) and Arsenal (Away). 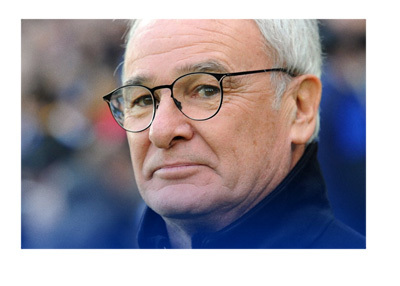 Last time we checked up on the Foxes in late November, the odds of them winning the Premier League title were 80/1 despite being at the top of the table at the time. Fast forward six weeks (eight games) and the odds of them finishing first are 10/1. Can Leicester go all the way this season? A top four finish would bring Champions League football to the club and that alone would be a huge success. It is tough not to like Leicester City this season!